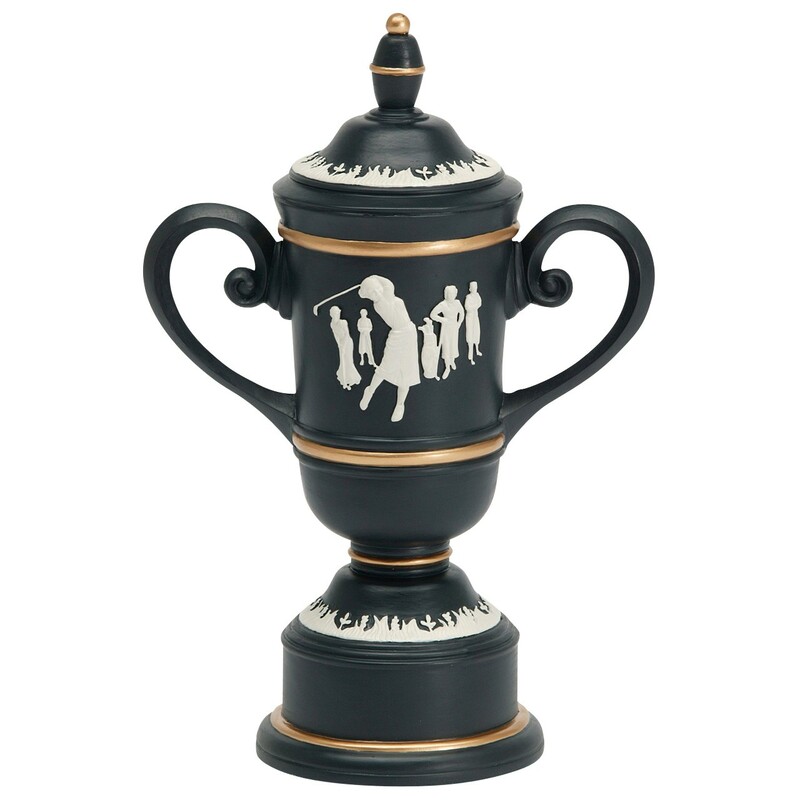 This elegantly designed Female Cameo Cup Golf Trophy is ideal for any golf tournament recognition! Made of solid resin, this ladies golf trophy features a gray finish with a white embossed vintage golf scene accented with gold. Your FREE engraving is on a brass plate which is attached to the base. Measures 11" tall. Find the matching Male Cameo Cup Golf Trophy for the winning men at your tournament! The 11" size corresponds to the size medium in the mens.